Located in Paris (13th Arrondissement), Hôtel Jenner is within a 15-minute walk of Pitie-Salpetriere Hospital and National Library of France. 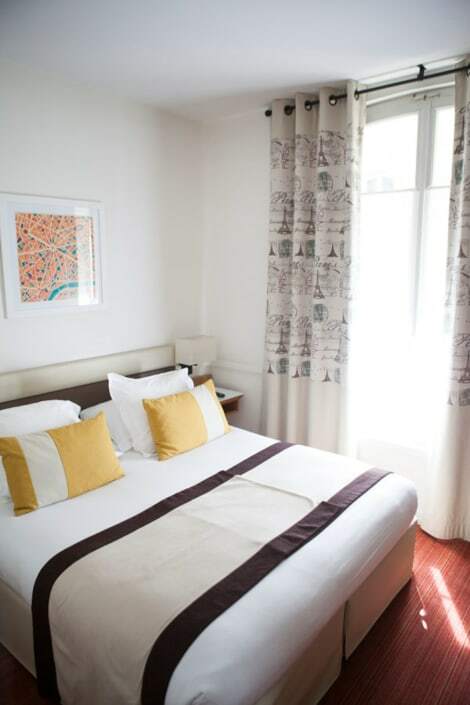 This hotel is 1.6 mi (2.5 km) from Pantheon and 1.7 mi (2.8 km) from Sorbonne University. Grab a bite from the snack bar/deli serving guests of ibis Paris Place d'Italie 13th. Buffet breakfasts are available daily from 6:30 AM to 10 AM for a fee. 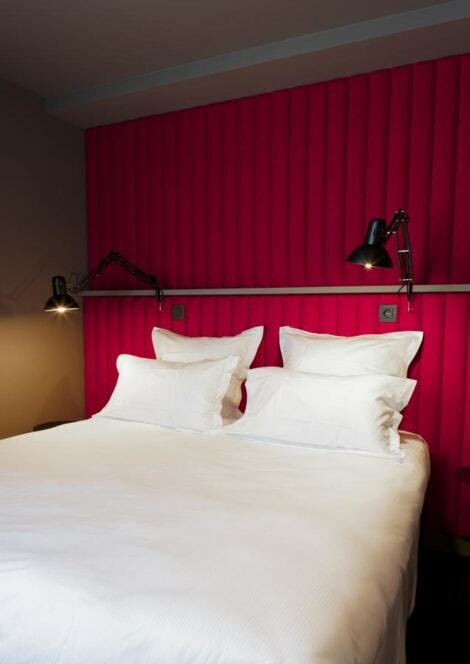 Featuring free WiFi, Hôtel Saint Marcel offers accommodation in Paris, 1.9 km from AccorHotels Arena. Guests can enjoy the on-site bar and get some exercise in the fitness room. Rooms feature a flat-screen TV with satellite channels. Certain rooms have a seating area where you can relax. For your comfort, you will find free toiletries and a hairdryer in the bathroom. You will find a 24-hour front desk at the property. Parking is available at an extra cost. Notre Dame Cathedral is 2 km from Hôtel Saint Marcel, while Opéra Bastille is 2 km away. The nearest airport is Orly Airport, 12 km from the property. 13th arr. is a great choice for travellers interested in monuments, city walks and culture. 5, rue Veronese 13th Arr. Situated in the centre of Paris, the 3-star Hotel Kyriad Paris 13 - Italie Gobelins is in a prime location for holidaymakers and business goers alike. The Jardin des Plantes botanical gardens are just a short walk away. Every room is fitted with an en-suite bathroom, tea and coffee making facilities, a satellite flatscreen TV and safe. Complimentary wi-fi is available throughout the hotel and pets are welcome. A buffet-style breakfast is served every morning. 8, rue Philippe de Champagne 13th Arr. 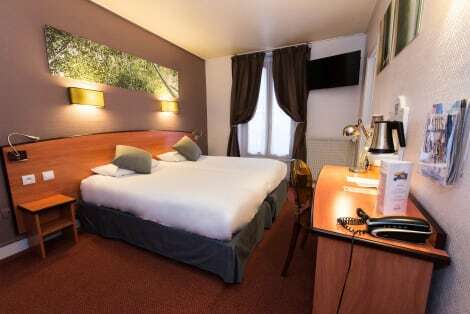 Near to the bohemian Latin Quarter and village-like, arty area of Butte aux Cailles in Paris, the La Manufacture is a quaint and atmospheric 3-star hotel within easy reach of the city’s dining, shopping and cultural hotspots. Charming shops and cafés line the nearby streets, and the hotel is perfectly designed to suit its arty surroundings, with chic wooden floors, art adorned walls and neat mod cons. There’s a business centre and free wi-fi across the hotel, and all rooms are air-conditioned.